Today I went shopping. I needed more of my Rocky Horror costume and a book for my dad. But Waterstones have this stamp card thing, and if I bought another book I'd get two stamps instead of just one - so I had to do it! 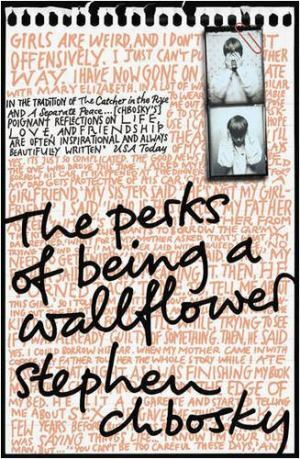 I recently saw Perks of Being a Wallflower, and I really wanted to read it, so I bought that. Goodreads summary: Charlie is a freshman. And while he's not the biggest geek in the school, he is by no means popular. 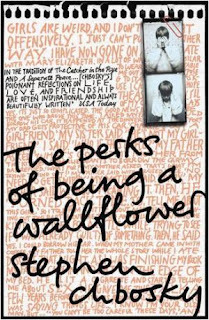 Shy, introspective, intelligent beyond his year yet socially awkward,he is a wallflower, caught between trying to live his life and trying to run from it. So this is the book I'm going to be reading this month :) It's only short, and it looks to be an easy read. *cross fingers* I'll finish it. This month pick a book on your shelf, preferably that you haven't read yet or even one that you have, that is perhaps young adult, coming of age, sort of a book.